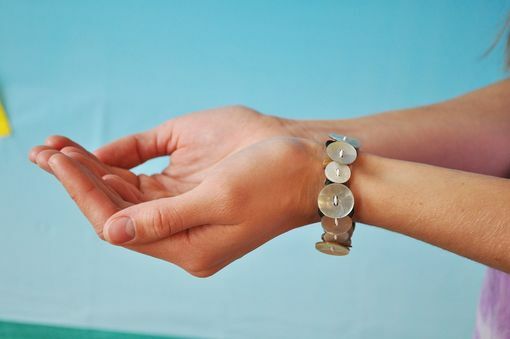 Iridescent flashes of color circle your wrist. The effect is subtle yet striking, like shells poking out of the sand on the beach. 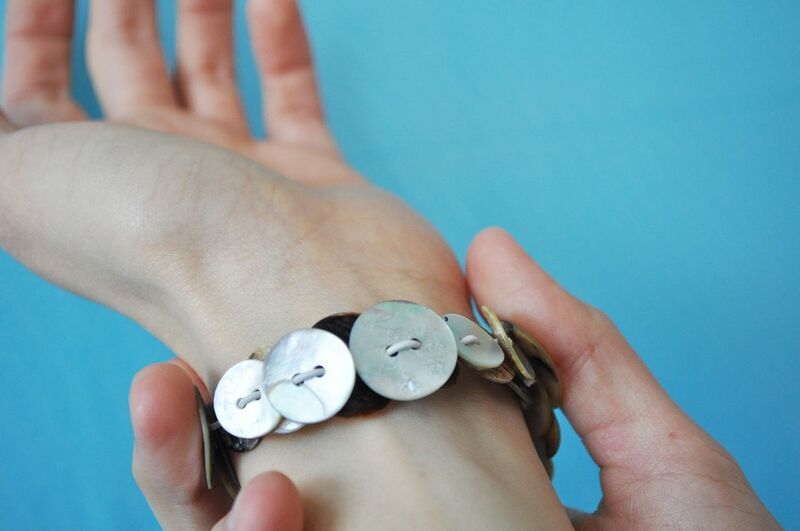 Some of the buttons have delicate engravings of flowers. They are strung on an elastic cord, making it easy to wear. 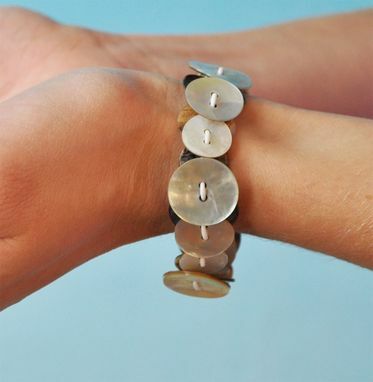 All of the buttons were rescued from old shirts, making this bracelet as sea-creature friendly as it is beautiful.